The error message described exactly what’s causing the issue, especially when the site or subsite has been populated with data or filled with files. List View Threshold (LVT) feature was created is to protect the server from unintentional load that may either bring it down, or at least cause other users higher latency or failures. Thus, changing the limit is not recommended. 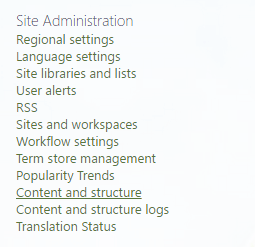 Go to Site Settings (accessible via Gear icon on the top bar), and then go to Content and structure under Site Administration. Enable SharePoint Server Publishing Infrastructure to manage site content and structure. 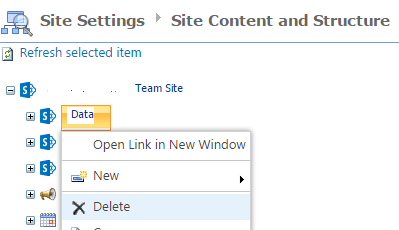 Right click on the site that you want to delete, and select Delete from the context menu. When prompted if you’re sure to delete the selected site, hit OK. If you’re still encountering the same error when attempting to delete site in Content and Structure page, try to delete the items in the site such as lists, libraries and folders individually or in batch. By deleting selected few items at a time, the possibility to hit the list view limit is greatly reduced. According to Microsoft, list view threshold for auditors and administrators is 20,000 and 5,000 for the rest. 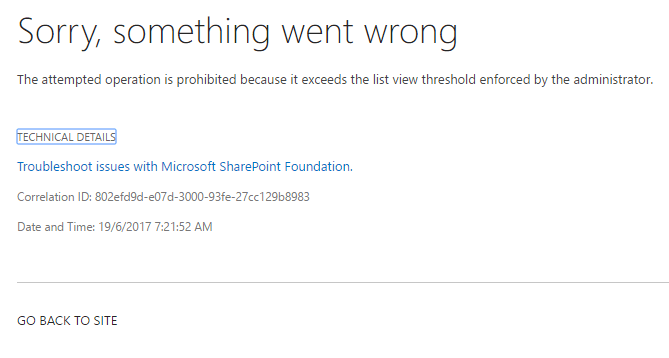 Otherwise, you can try to change the SharePoint List View Threshold limit.